Series : Book 6 of "Hitchhiker's Guide to the Galaxy"
Series : Book 1 of "W.­A.­R.­P.­"
The reluctant assassin is Riley, a Victorian boy who is suddenly plucked from his own time and whisked into the twenty-­first century, accused of murder and on the run.­Riley has been pulled into the FBI's covert W.­A.­R.­P. operation (Witness Anonymous Relocation Program). He and young FBI Agent Chevie Savano are forced to flee terrifying assassin-­for-­hire Albert Garrick, who pursues Riley through time and will not stop until he has hunted him down. Barely staying one step ahead, Riley and Chevie must stay alive and stop Garrick returning to his own time with knowledge and power that could change the world forever. Dan, an Irishman who's ended up in New Jersey, finds himself embroiled in a world of murder, kidnapping and corrupt cops. Dan works as a bouncer in a seedy club, half in love with hostess Connie. When Connie is murdered on the premises, a vengeful Dan finds himself embroiled in an increasingly deadly sequence of events in which his doctor friend Zeb goes mysteriously missing, a cop-­killing female cop becomes his only ally, and he makes an enemy of ruthless drug-­dealer Mike Madden. Written with the warmth and wit that make the Artemis Fowl novels so irresistible, though with additional torture and violence, PLUGGED is a brilliant crime debut from a naturally gifted writer with a huge fanbase. ** One dark night on the island of Great Saltee, fourteen-­year-­old Conor is framed for a terrible crime he didn’t commit. Thrown into prison by the dastardly Hugo Bonvilain, Conor is trapped in a seaswept dungeon and branded a traitor. He must escape and clear his name; he wants his old life back – his family, his friends . . . and his princess. Conor knows there is only one way out. It’s an impossible task, which has never been done before. But Conor is determined to do it. He’ll have to fly. 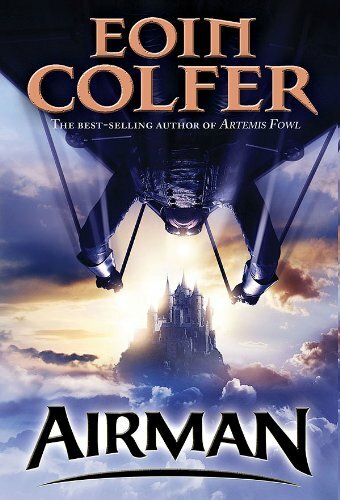 Swashbuckling new fiction from the amazing Eoin Colfer, ideal for readers aged 11+. Riley, a young orphan boy living in Victorian London, has had the misfortune of being apprenticed to Albert Garrick, an illusionist who has fallen on difficult times and now uses his unique conjuring skills to gain access to victims' dwellings. On one such escapade, Garrick brings his reluctant apprentice along and urges him to commit his first killing. Riley is saved from having to commit the grisly act when the intended victim turns out to be a scientist from the future, part of the FBI's Witness Anonymous Relocation Program (W.­A.­R.­P.­) Riley is unwittingly transported via wormhole to modern day London, followed closely by Garrick. In modern London, Riley is helped by Chevron Savano, a nineteen-­year-­old FBI agent sent to London as punishment after a disastrous undercover, anti-­terrorist operation in Los Angeles. 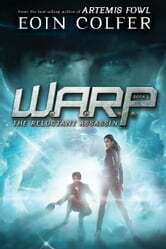 Together Riley and Chevie must evade Garrick, who has been fundamentally altered by his trip through the wormhole. Garrick is now not only evil, but he also possesses . 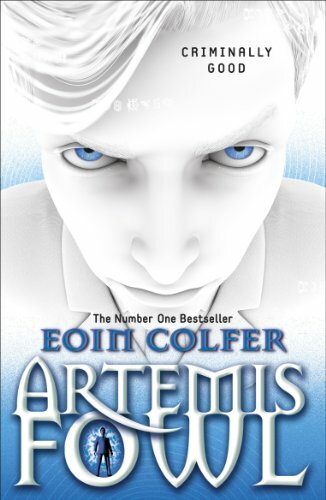 . .
Artemis is at boarding school in Ireland when he suddenly receives an urgent video-­email from Russia. In it is a plea from a man who has been kidnapped by the Russian Mafiya: his father. As Artemis rushes to the rescue, he is stopped by captain Holly Short of the LEPrecon fairy police. But this time, instead of battling the fairies, he is going to have to join forces with them if he wants to save one of the few people in the world he loves. 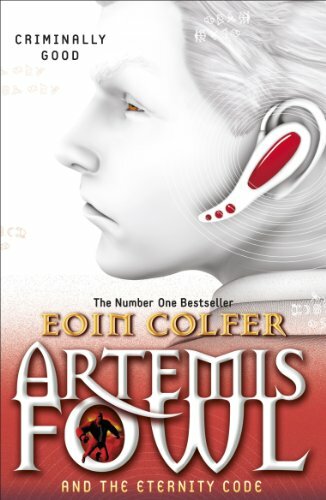 Series : Book 8 of "Artemis Fowl"
Seemingly nothing in this world daunts the young criminal mastermind Artemis Fowl. In the fairy world, however, there is a small thing that has gotten under his skin on more than one occasion: Opal Koboi. In *The Last Guardians*, the evil pixie is wreaking havoc yet again. This time his arch rival has somehow reanimated dead fairy warriors who were buried in the grounds of Fowl Manor. Their spirits have possessed Artemis's little brothers, making his siblings even more annoying than usual. The warriors don't seem to realize that the battle they were fighting when they died - a battle against Artemis--­is long over. Artemis has until sunrise to get the spirits to vacate his brothers and go back into the earth where they belong. Can he count on a certain LEPrecon fairy to join him in what could well be his last stand?